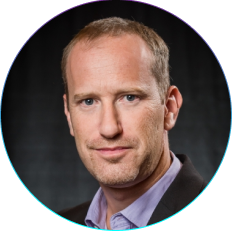 Eyal Greenberg leads all efforts for product management and solutions development at 2bPrecise. Greenberg began his career in 2003 as a product manager with a semantic search engine startup. In 2005, Greenberg joined dbMotion, serving several roles including as system analyst and product manager, within semantic interoperability, population management analytics, and point of care solutions. Upon Allscripts acquisition of dbMotion in 2013, Greenburg lead innovation and strategy development groups specific to Population Health. Throughout the years with dbMotion, Allscripts and 2bPrecise, Greenberg has made significant contribution to more than 25 inventions. Greenberg received a Bachelor of Science degree in industrial engineering with emphasis on information systems from Ben Gurion University in Be’er Sheva, Israel.